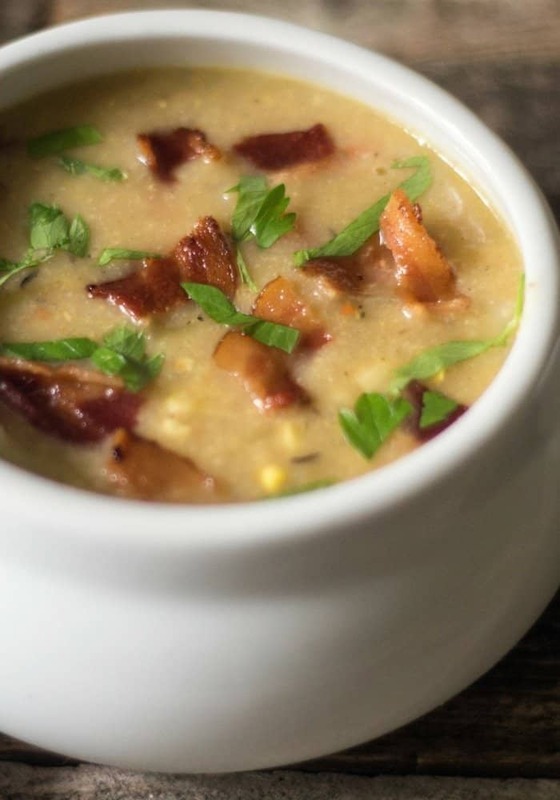 Dairy-Free Corn Potato Chowder is made with fresh corn, potatoes, and veggies. That’s right, tasty and hearty chowder without using dairy! This chowder can easily be Vegetarian by excluding the bacon! 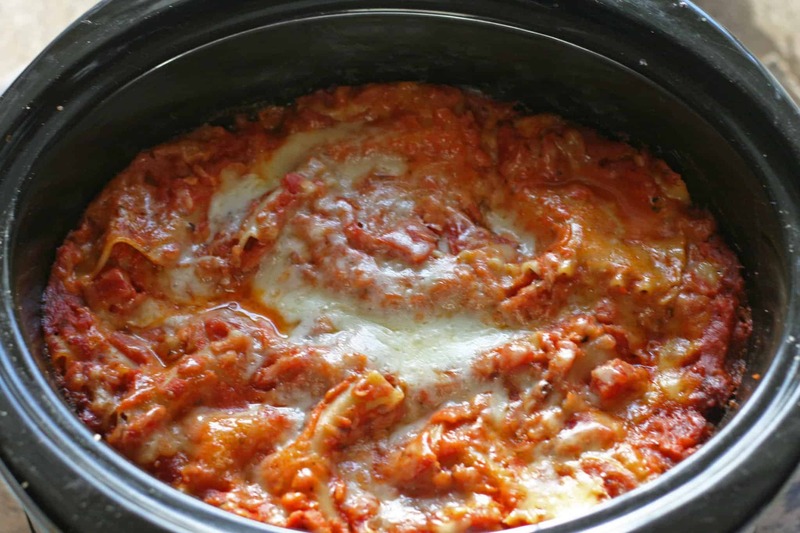 A perfect recipe to make for an easy dinner. 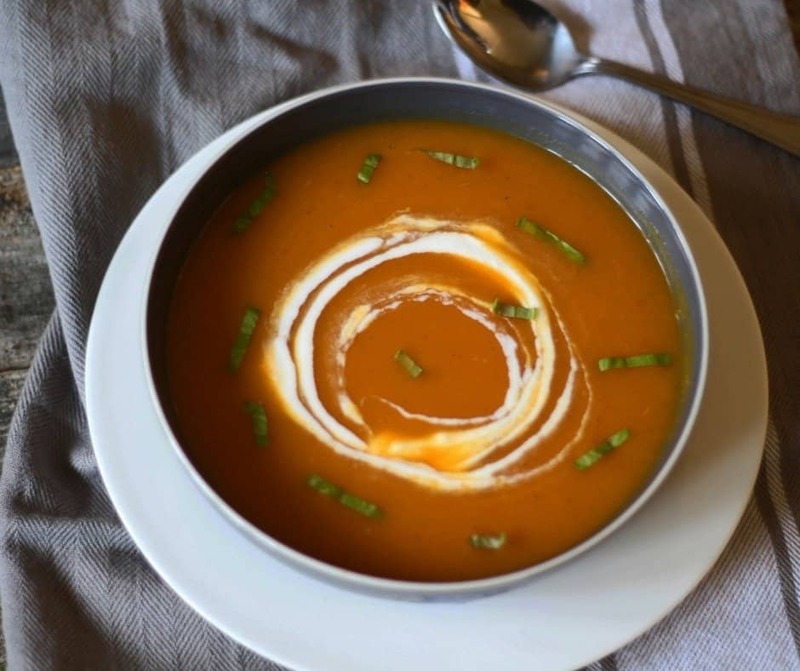 This soup is low-fat, gluten-free and super easy to prepare! Corn is a favorite veggie of mine! In the late summer, early fall, I love getting roasted corn, dipped in butter at our local farms during fall harvest celebrations! What can I say, it is my weakness, but I am walking all over a farm! I look at it as enjoying a tasty treat then walk those calories off! 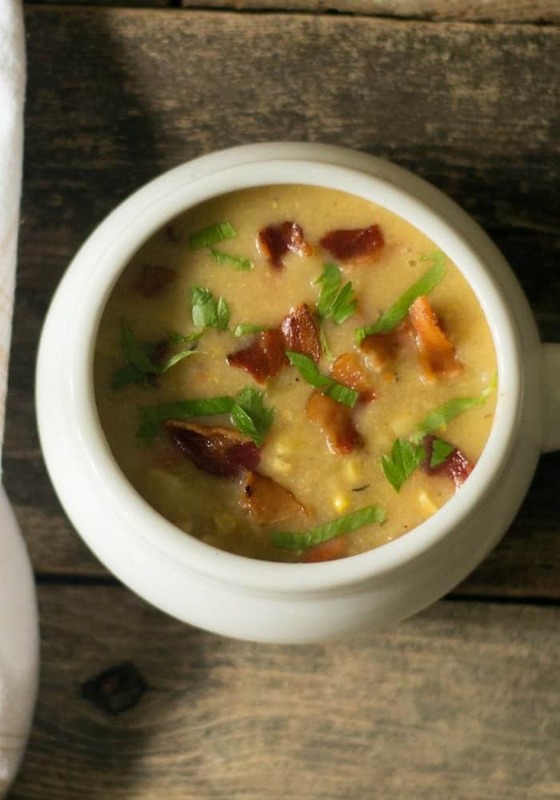 Which oddly brings me back to this amazing Dairy-Free Corn Potato Chowder! How, you ask, I get the best corn at this time of the year from my local farms. 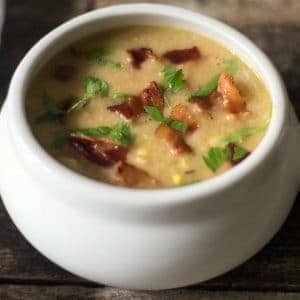 I love making this Dairy-Free Corn Potato Chowder because it’s delish and super easy to prepare. You can vary ingredients depending on your dietary needs. In my house, I adjust based on who is home to eat. My daughter’s prefer no bacon because they fancy vegetarian dishes. The men love the bacon. I love it either way! Use fresh corn to add the cobs to the soup base for extra flavor. However, I have used frozen corn during the winter months and it has worked well to make a great chowder. 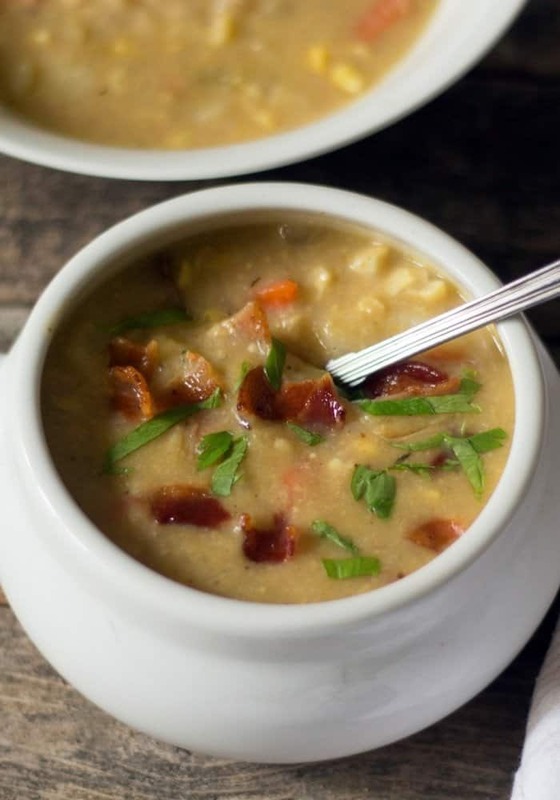 Everyday Eileen Freezer Suggestion – separate the corn from the cob and freeze both to use at a future date to make this chowder. Red potatoes are my favorite potato because they hold up well in the chowder. If needing a low-carb alternative, cauliflower works in lieu of potatoes in this chowder. I like using center cut bacon or turkey bacon, both are lean. Lower in calories. 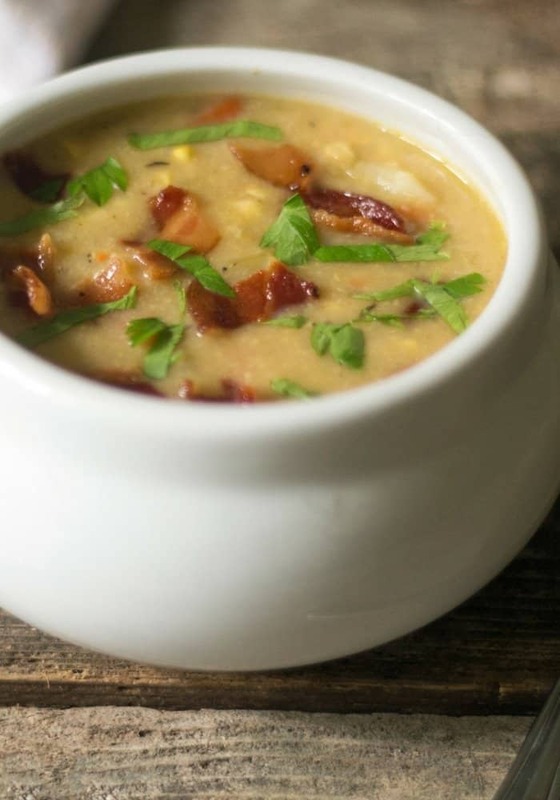 To make this a Vegetarian chowder, remove the bacon and butter, use avocado oil. There is something about this time of year that just brings me joy! The changing colors of leaves. comfortable sweaters, boots, and fall comfort foods help! My love of a backyard bonfire has no boundaries! I truly just love this time of year! Pretty sure I spend more time outside now than in the summer! 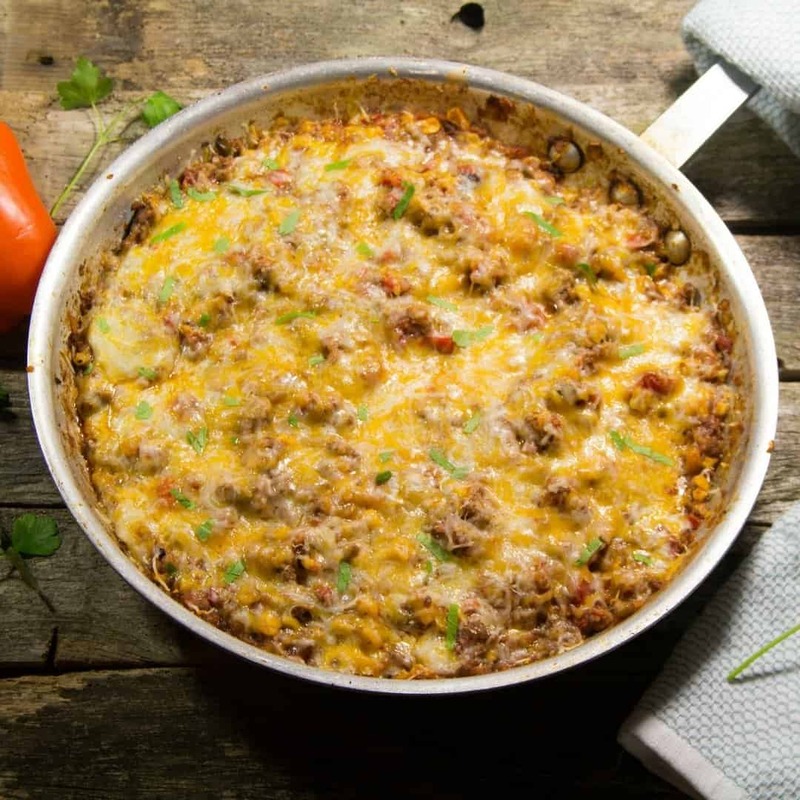 Save this tasty recipe to your favorite Pinterest board here! Save this recipe to your FAVORITE PINTEREST BOARDS! Follow along on PINTEREST! I’m always pinning from talented and amazing bloggers with creative recipes and DIY ideas! A delicious chowder made with fresh corn and potatoes. This is a hearty soup full of flavor from the veggies. Can be a main meal or an appetizer. Vegan-friendly by leaving out the bacon and using either coconut or avocado oil for sauteing. Remove the corn kernels from the cobs. Set aside. In a soup pot, over medium heat cook the bacon until crispy. Remove bacon,set aside. Discard all but 2 teaspoons of the bacon fat. *Vegetarian - omit the above and heat Avocado Oil. Add the diced onion and saute for about 2 minutes. Add in the garlic, saute until onions soft. Stir in and melt the vegan butter or coconut oil( Note 1). Add in the almond flour. Stir to combine the flavors and the flour will absorb into the veggies. About 2 minutes. Cover pot with a lid, reduce heat to low. Simmer for about 30 minutes or until potatoes are tender. Stir about every 10 minutes. Remove and discard the cobs and bay leal. Note 1: I use fresh corn all winter because I freeze fresh corn in the summer. Feel free to use frozen corn found in the freezer section. Note 2: For those who are not dairy free, feel free to use unsalted butter and all-purpose flour. Note 3: If you are using frozen corn, you will omit the addition of the corn cobs. Note4: If making the soup ahead, the soup thickens overnight. Feel free to add a bit more vegetable stock or water to thin the soup. How is this recipe dairy-free and gluten-free? It has butter and flour in the ingredients. Maggie, thank you for pointing out the error in the recipe. The butter and flour were supposed to be the alternate for those who are not dairy free. I have updated the recipe and I can’t thank you enough for letting me know. I made your soup and it is so good. As you said, easy is right. My family loved it. Thank you, Eileen. I am so glad you and your family enjoyed the soup. Thank you for the kind comment Claire.